Struga (Macedonian: Струга [ˈstruɡa], Albanian: Strugë) is a town and popular tourist destination situated in the south-western region of the Republic of Macedonia, lying on the shore of Lake Ohrid. The town of Struga is the seat of Struga Municipality. The origins of the name Struga come from the Old Church Slavonic language. 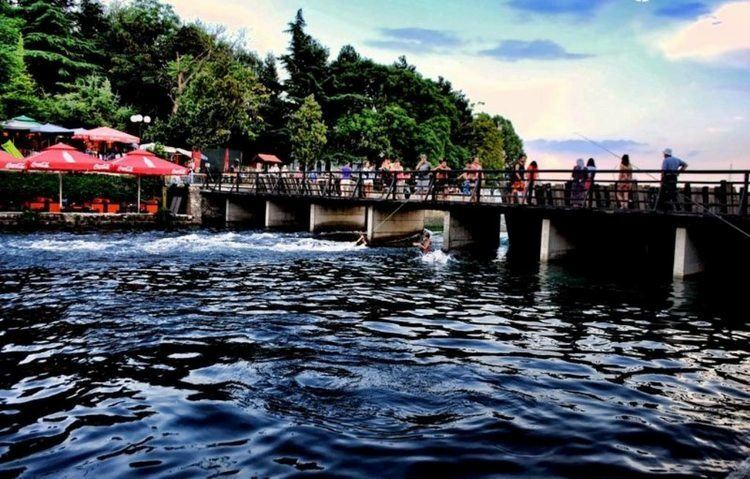 There are three theories regarding the name, all of which are supported by the local inhabitants of the Struga region. The first theory is that the name of the town originated from the geographic location of the town. Located at the foot of an open valley and subject to a windy climate, it was suggested that the name originates from the old Macedonian term: струже ветер (it blows wind). The second theory says that the name of the city origins from the old Macedonian word straga, meaning a cross. The old name of the city is Ενχαλών Enchalon, the ancient Greek word for eel, a kind of fish that lives in the Lake Ohrid. The third theory comes from the Old Macedonian word str'g which means water branch. In the late 19th and early 20th century, Struga was part of the Manastir Vilayet of the Ottoman Empire. From 1929 to 1941, Struga was part of the Vardar Banovina of the Kingdom of Yugoslavia. 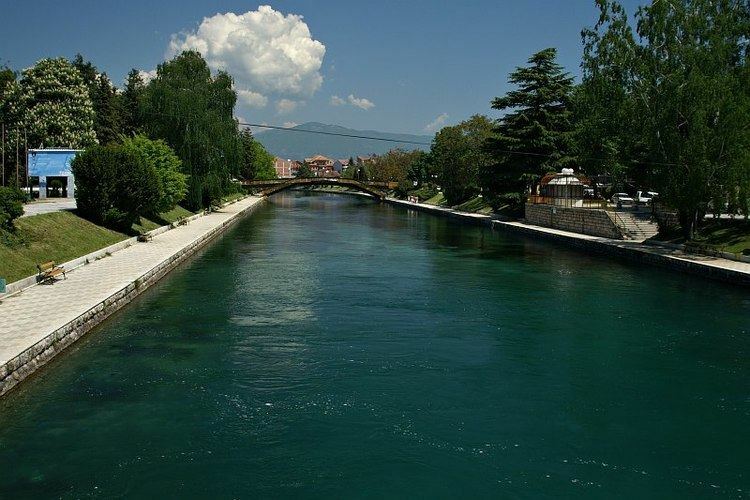 Struga is located in an open valley on Lake Ohrid. The Black Drin river (Crn Drim) starts at the lake and divides the city. 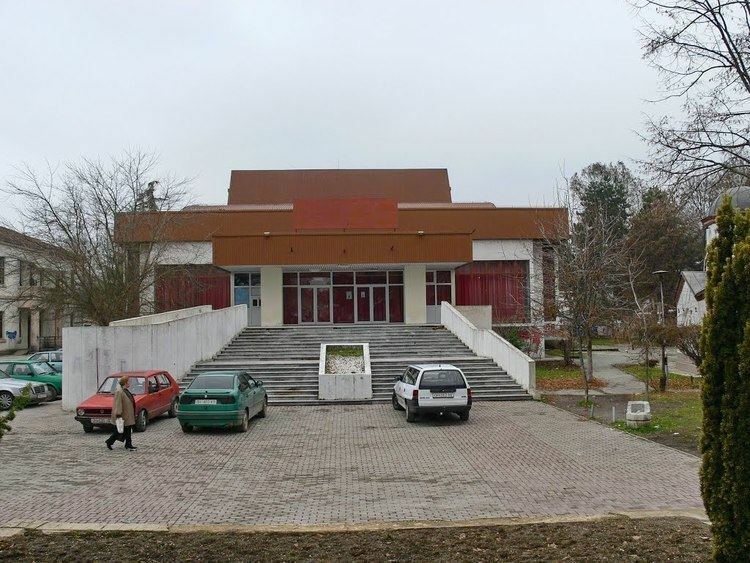 Until the last few decades of the 20th century Albanian Tosk, in particular the geographically central variety of the dialect dominated among speakers of Albanian in Struga. The local Romani population of Struga speaks and sings in the southern Tosk Albanian dialect, as does the local Turkish population. Aromanians in Struga also speak Tosk Albanian as do local Macedonians who learn to speak Albanian. 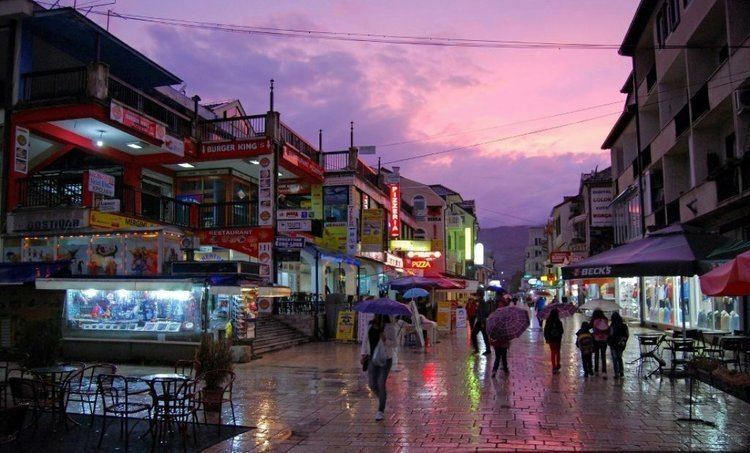 Struga is also a place of important cultural significance in the Republic of Macedonia, as it is the birthplace of the poets Konstantin and Dimitar Miladinov. The main event of the cultural life in Struga is the world's largest poetry gathering, Struga Poetry Evenings, whose laureates have included several Nobel Prize for Literature winners such as Joseph Brodsky, Eugenio Montale, Pablo Neruda, Seamus Heaney, Fazıl Hüsnü Dağlarca and many others since 1966. There are several cultural monuments in Struga and in its vicinity such as the Monastery of Kališta, a few kilometers away from the town center, lying on the shore of Lake Ohrid. It is believed that it dates from the 16th century, with frescoes from the 14th and the 15th centuries. Another rock church is present in the neighbouring village of Radožda with frescoes from the 13th and 14th centuries. The Church of Sveta Bogorodica (St Mary) in Vraništa, is believed to be where Tsar Samuel was crowned. The church of St. George is also located in the town; built on top of Samuel's church, it has many icons from the 14th, 15th, and 16th centuries. Near the village of Radolishta, a basilica from the 4th century was discovered, with a mosaic. Struga's old architecture dates from the 18th and 19th centuries. Much of the town's income is through internal tourism. 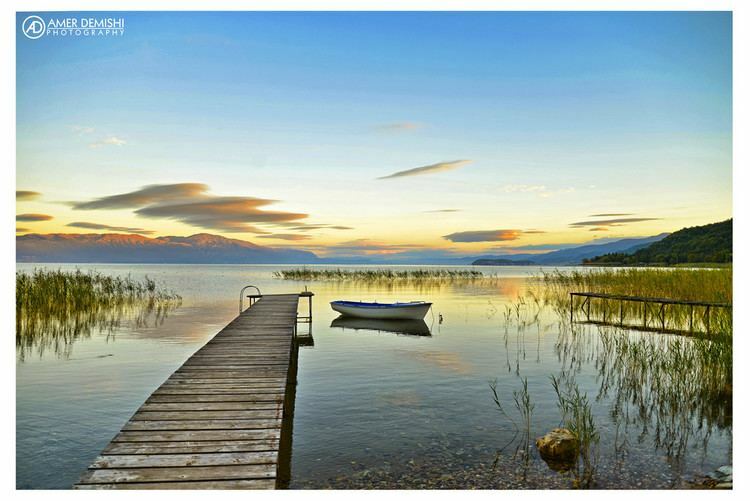 Struga's location on Lake Ohrid makes it a slightly quieter and more peaceful experience than the more bustling Ohrid. When visiting this quiet town of the Republic of Macedonia, there are a few other places that show the beauty and culture, like the clay chamber pots at the house of the Miladinovci Brothers, the old bazaar, the century old churches and mosques. Before the evenings you can enjoy on 3 kinds of beaches called "Male beach" (maška plaža), "Female beach" (Ženska plaža) and Galeb ("Gull Beach"), located just before the estuary of the river Crn Drim (Black Drim) in its own flow, and between the two previous beaches. Just in front of the "Male beach", at the estuary of the river Crn Drim it is located the biggest 5 star Hotel Drim in Struga. Out of the town there is another tourist place near the lake called Biser (Pearl), also a hotel. Every August the Struga Poetry Evenings (SPE) are held at the "Poetry Bridge" (Macedonian: Струшки Вечери на Поезијата) and are attended by poets, writers and artists from across the world.